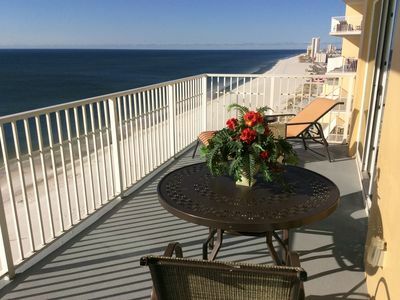 Enjoy stunning wide open views of the setting sun over the emerald waters and white sandy beaches of the Alabama Gulf Coast. 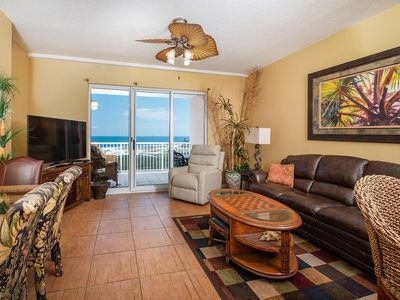 Enjoy a sunrise over the Gulf or sunbathe on a lazy afternoon on the large furnished balcony. 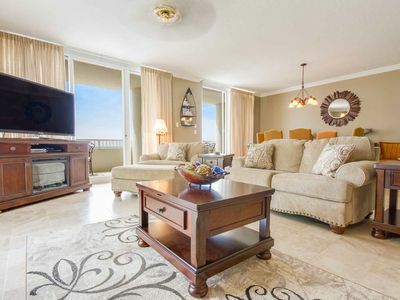 The condo is professionally decorated with furniture and amenities designed to maximize your comfort and enjoyment during your vacation. 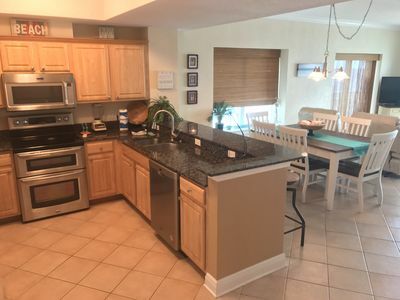 Fully equipped kitchen is available. 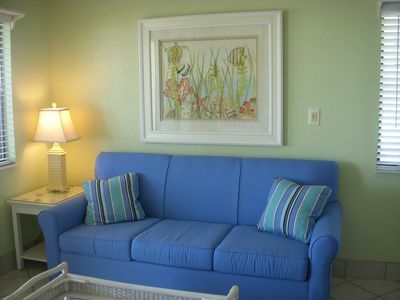 The San Carlos 509 is baby and child friendly! Pack n Play, roll away crib, and high chair are available, free of charge. 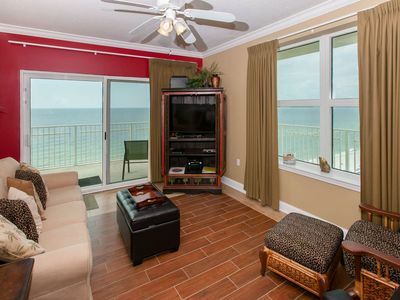 Beautiful 18'' tile floor throughout the entire unit. The electronics in the San Carlos 509 lead the market. 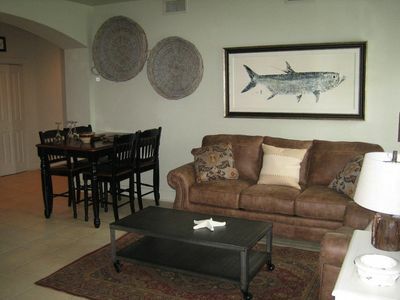 Enjoy the 52' Sony Bravia flat screen TV in the main room and 42' Bravias in all bedrooms. Upconvert DVD players in each bedroom. 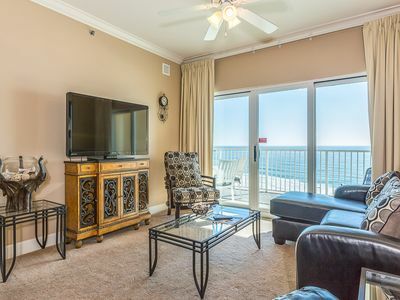 Like to play video games or watch movies at the beach? Sony Play Station 3 with Blu Ray DVD player is in the unit. Bring your computer! In room internet access is provided. 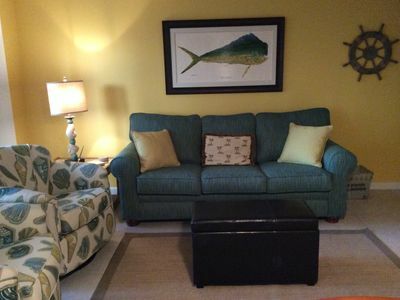 Large end unit condo comfortable sleeps and entertains 10 people. Three high speed elevators make moving into and out of the condo a snap. 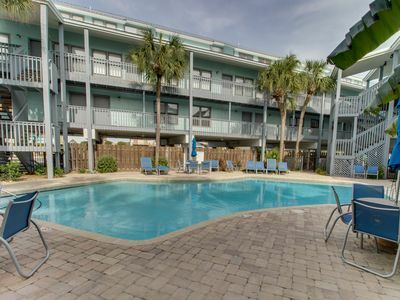 Exercise room, sauna, zero entry pool, grilling area, and a meeting room maximize the vacation experience. 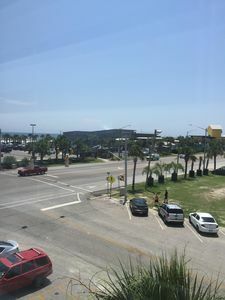 Located in the heart of Gulf Shores, Alabama, San Carlos is within walking distance to many surf shops as well as upscale and casual restaurants. 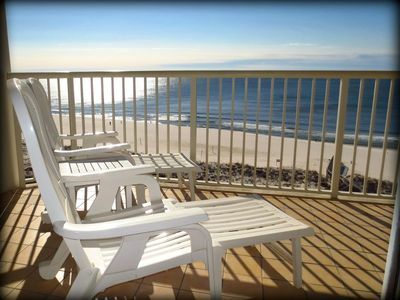 Gulf Shores provides a fun, family atmosphere with numerous nearby theme parks for the kids. 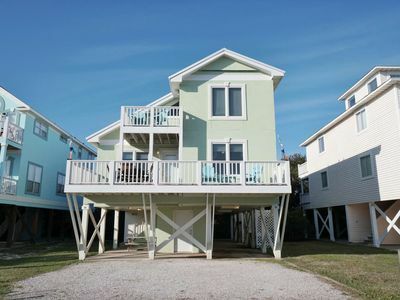 Paradise Duplex B - FREE GOLF, FISHING, DVD RENTALS, WATERVILLE AND TRACK TICKETS! 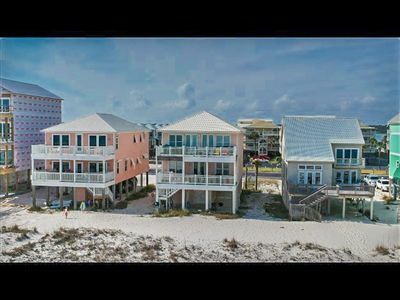 The Beach Club B-2001 - FREE GOLF, FISHING, DVD RENTALS, WATERVILLE AND ESCAPE ROOM TICKETS! 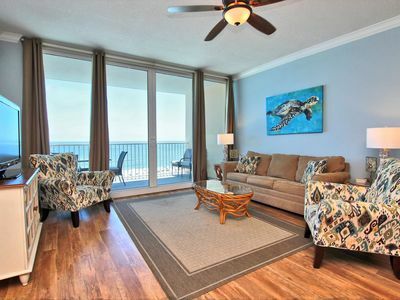 Beachfront Townhome #28- Just Steps From The Gulf! 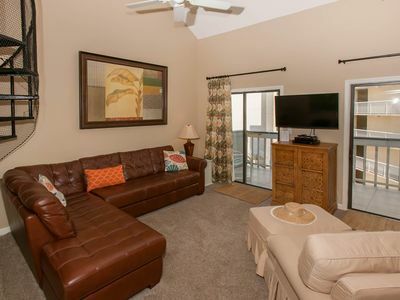 Convenient & Family Friendly! 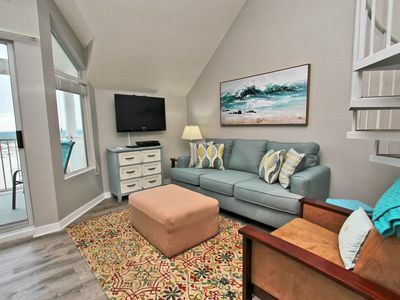 Remodeled condo sleeps up to 8, minutes from the beach with free golf! 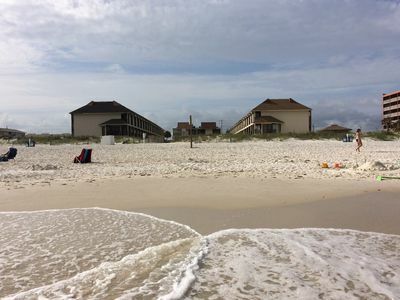 Make Your Barefoot Memories on the Prestine Beaches in Gulf Shores! 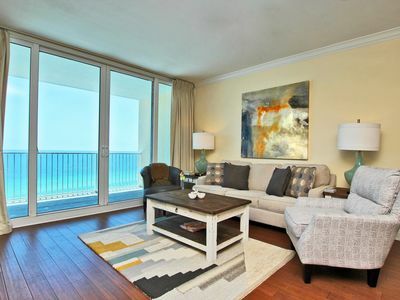 Newly remodeled beachside condo! 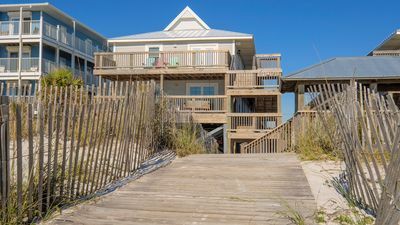 Just steps to the sand! 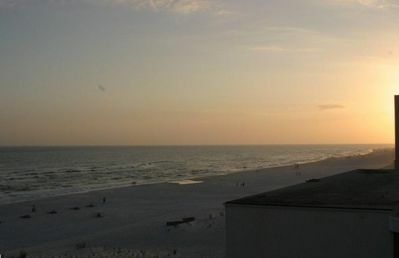 Make This Your Spring Break Destination! San Carlos 1106 Come rejuvenate your soul and REST YOUR BUM at the beach! !